1. The London Bulgarian Choir - "Pilentse Pee"
3. Anna Domino - "With The Day Comes The Dawn"
4. Neneh Cherry - "Blank Project"
1. 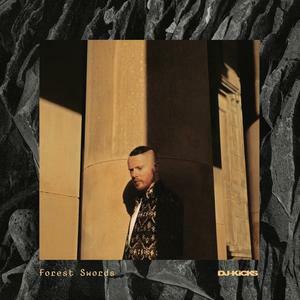 Forest Swords - "Crow"
2. Tokyo Prose & FIS - "The Truths"
3. Dead Can Dance - "Mesmerism"
4. Baka Forest People Of Southeast Cameron - "Eden Liquindi 2"
5. David Toop - "Things Just Went Sour Gradually All At Once"
1. Kara-Lis Coverdale - "Imgs /R"
2. Lutto Lento - "Gyal A Devil"
3. Laurel Halo - "Throw"
1. Demdike Stare - "Mnemosyne"
3. Rupert Clervaux & Beatrice Dillon - "VII"
4. Vashti Bunyan - "Here Before"